The elegantly furnished Hotel Elisabeth is perfectly located right opposite the main gondola station and just a few minutes walk to the resort centre. 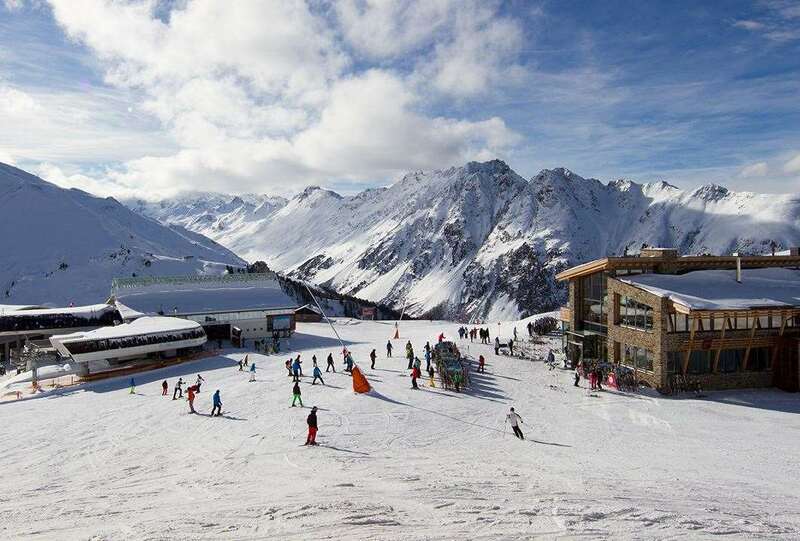 It is in the ideal location for the ski lifts and the shops. It's a high standard and comfortable property with excellent cuisine and a wealth of facilities. Particularly impressive is the "penthouse" indoor swimming pool, steam room and sauna with spectacular views onto the pistes and the après-ski haunt, the "Ice Bar" - some would say the best après-ski in Ischgl, but get there early. Night owls should take advantage of the free daily entry to the Pacha nightclub in the sister Hotel Madlein. The beautiful "Fireplace" lounge is the perfect place to unwind and recount tales of the days skiing. 58 bedrooms. for 2 people on half board sharing a room with Austrian twin beds, private bath, WC and balcony. All rooms can sleep up to 3 people with Austrian twin and sofa bed. All bedrooms have cable TV, safe, minibar, hairdryer, bathrobes, south facing balcony with amazing piste views and been newly renovated to a contemporary style.